The Best Peanut Butter Cookie Recipe – Only 5 Ingredients! There’s just something about a good cookie right out of the oven and a glass of milk isn’t there? I love making cookies from scratch, but what I don’t have time for are cookies with an endless ingredient list. I want simple. I want gluten free. I want absolute deliciousness. And that’s exactly what you get with The Best Peanut Butter Cookie Recipe I’m sharing with you today. It has only 5 ingredients and it’s amazing! 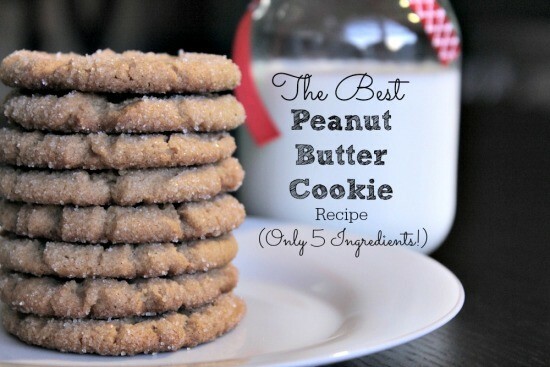 Although this peanut butter recipe is gluten free, I promise you those who don’t have an issue with gluten will love these. I tested them out on my kids and guests, and no one knew they didn’t have flour in them. I think what makes these cookies over the top is the fact they’re rolled in sugar. When I first made them I didn’t roll them in sugar and although they were good – as you can see from the pictures, adding that last sugar element makes them irresistible. These would be the perfect cookies to leave for Santa Claus on Christmas Eve, to bring to a party or to whip up because everyone is craving something sweet. Because the ingredients are so simple, most likely you already have these in your pantry and refrigerator. A delicious gluten free cookie that will please your family, your guests and Santa Claus. With only 5 ingredients, you can whip these up in a jiffy! 2. Mix together the 1 cup of peanut butter and the 1 cup of sugar until well mixed. 3. Add in the slightly beaten egg, baking powder and vanilla, and mix until completely combined. 4. Roll about 1 Tablespoon of the dough into a ball. 5. Roll the ball in the sugar you set aside in a small bowl, and place on an ungreased cookie sheet. 6. Take a fork and press the cookie with a criss-cross pattern. 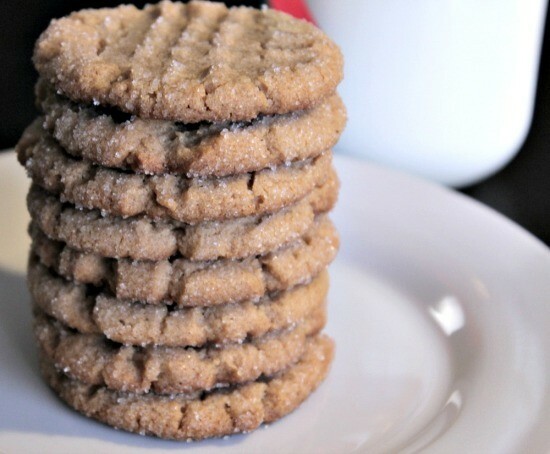 This makes the traditional peanut butter cookie 'marks'. 7. Bake for 7 to 10 minutes, depending on your oven. 8. Let sit on the cookie sheet for 5 minutes before transferring to a metal rack for cooling. I had to experiment with the cooking time. For my oven, 10 minutes was too long and 7 minutes was just right. 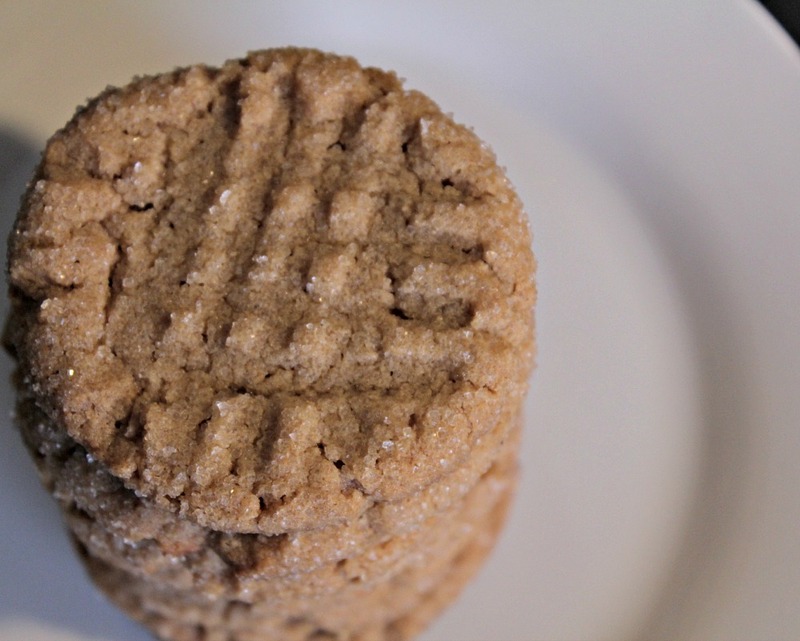 It made them still chewy, which is how I like my peanut butter cookies to turn out. Variation: Instead of rolling the dough in sugar, after making the criss cross pattern, sprinkle with a little sea salt. 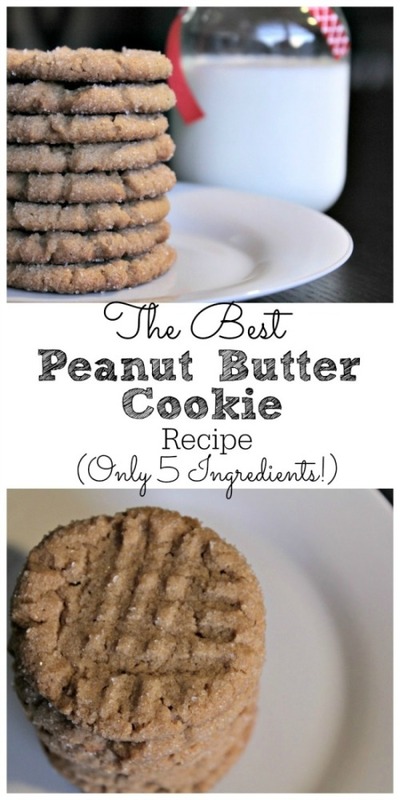 Do you have a favorite peanut butter cookie recipe? Share it with me!